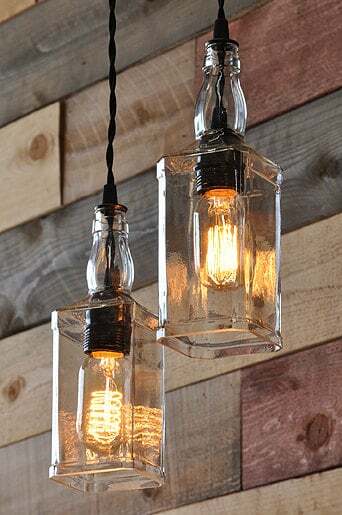 These Whisky Bottle lamp with vintage pulley can be made with any two bottles of your choice, whether they be wine bottles or liquor bottles like Whiskey/Whisky/Scotch one (any brands, Scottish or Irish). They have many to choose from. 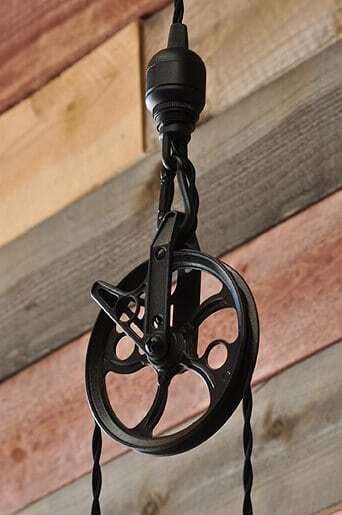 The metal aluminum pulley can be finished in black, oil rubbed bronze or copper. The fixture from the metal ball down to the bottom of the bottles is 29″. If that’s too much room, They could definitely shorten it a few inches… (The fixture comes with two vintage 40 watt light bulbs). You should have a look at this DIY tutorial to make your rustic vintage lamp, some have replaced the pulley by a wood beam, picture soon! Awesome diy project. I’ll have a try. How did you cut the base off the whiskey bottles? I have tried several times and no luck yet without cracking. 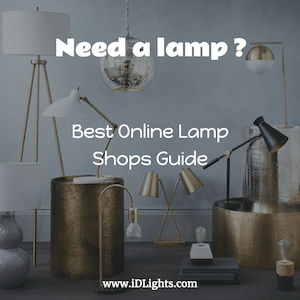 that viskey bottle lamp! loved it. How did you do for open the bottle without breaking it? do you ship to Australia? 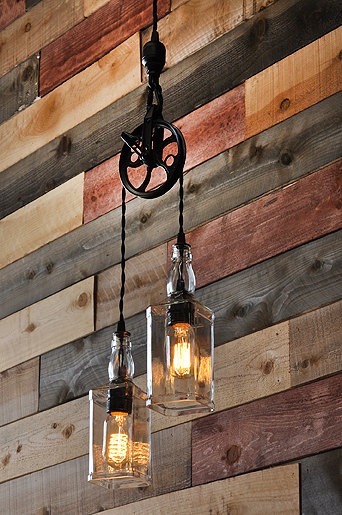 We love the whiskey bottle pendant lights for our bar. Any change of getting them sent?